New survey finds as engagement rates in youth sports continues to decline, parents are bearing the brunt of the cost and stress in order to keep their kids in the game. ATLANTA, Jul. 27 /CSRwire/ - FlipGive.com, a cash-back site for youth sports teams that facilitates fundraising through online shopping, released a recent survey that highlights the price that parents are paying to keep their kids in sports programs. The survey, which polled parents in the U.S. and Canada of kids in organized sports programs across a broad range of categories including baseball, basketball, football, hockey and soccer, confirms the widely held view that sports programs have become too expensive, putting major stress on families. Results showed that 87% of parents are stressed by the costs, and 47% allocate between 10% to 25% of annual budgets to kids’ sports. The benefits of physical activity for mental and physical health cannot be denied, however, with reduced governmental spending on in-school programs, parents are left footing the bill for costly after-school and tournament-driven programs. Of parents surveyed, 84% of them have resorted to after-school programs to keep their kids active. 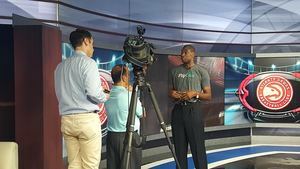 In June of this year, FlipGive partnered with eight-time NBA All-Star Dikembe Mutombo as a shareholder and global ambassador in an effort to help ease these concerns, and promote FlipGive’s practical approach to fundraising. FlipGive and Mutombo’s goal is to help raise $100 million for youth sports over the next five years. Since its launch in 2014, FlipGive has already helped raise nearly $10 million for groups and teams. FlipGive is a cash-back site for youth sports teams that combines the convenience of online shopping with the best of online fundraising, making it easier for groups to raise money. Teams using FlipGive earn up to 25% cash back for their sports team, league or school simply by shopping with retail partners. It’s a fast, easy and free way to support participation in sports. To start your fundraising campaign visit www.flipgive.com. Our mission is to use the power of commerce to create positive social change.We believe that innovation & technology provides an ideal platform for companies, non-profits and individuals to work together to drive significant social change. FlipGive is a certified B Corporation.